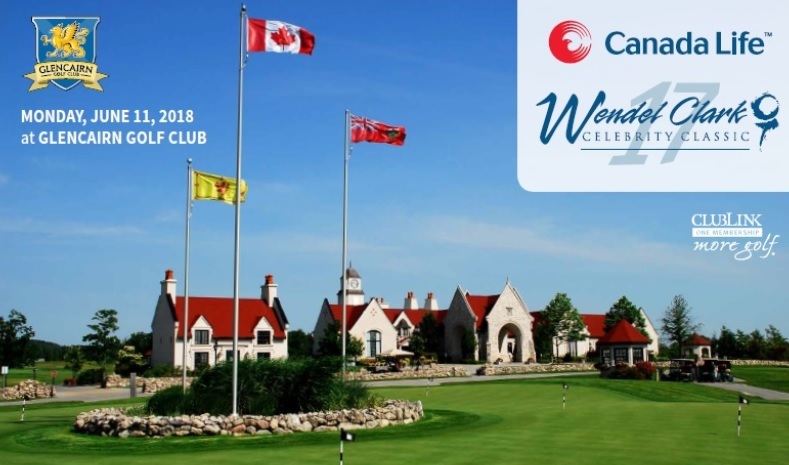 This year marks the 18th annual Canada Life Wendel Clark Celebrity Classic, scheduled to take place on Monday June 11, 2018, at Glencairn Golf Club in Halton Hills, Ont. Join me and my friends for a fun day on the course in some friendly competition. We have some fantastic prizing lined up for the top teams. Some of the past celebrity guests include Doug Gilmour, Brad Park, Gerry Cheevers, Peter Mahovlich, Dale Hawerchuk, Steve Thomas, Bobby Hull, Darryl Sittler, Marcel Dionne, Darcy Tucker and Billy Smith. Last year’s event was a big success and we look forward to another great tournament on June 11. This event has raised more than $360,000 for charity. Get your foursome together before it’s sold out! To register, complete and return the registration form. For more information, please contact Scott Reycraft at 905-841-7969 or sreycraft@clublink.ca.